For the school year 2017-2018, more than 700,000 college graduates are added into the labor force but the sad fact is, more than 50 percent of these graduates are unemployable according to a study. They do not have the right training and skills needed to get the right job and so many of them are in jobs that are not commensurate to the course they took. This growing problem of job skills-mismatch only exacerbates another problem that our country’s economy cannot provide jobs to many of its citizens. It is indeed quite alarming to note that every year, there’s a rise in the number of unemployed and under-employed graduates. 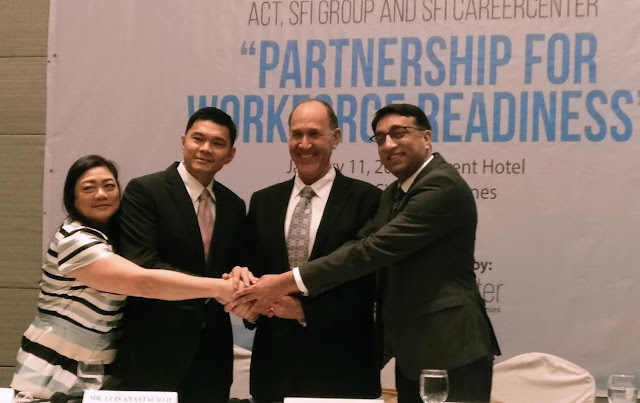 This is the scenario that Servicio Filipino, Inc. (SFI), a leading workforce provider in the Philippines also finds alarming. 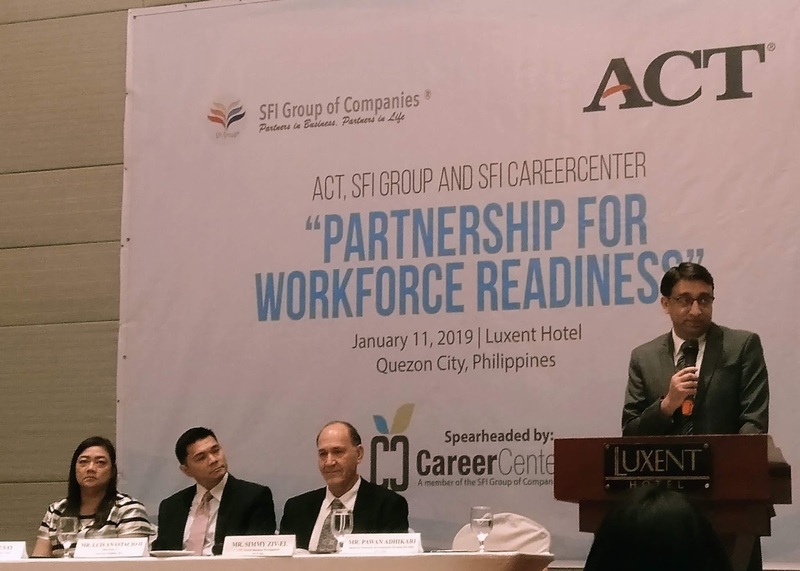 Aiming to shape the Filipino work force and readying them for work readiness globally, SFI and its subsidiary, SFI Career Center, launches a partnership with ACT, Inc., one of the world’s leading assessment and workforce development organizations based in Iowa City, Iowa, USA last January 11, 2019 held at The Luxent Hotel. 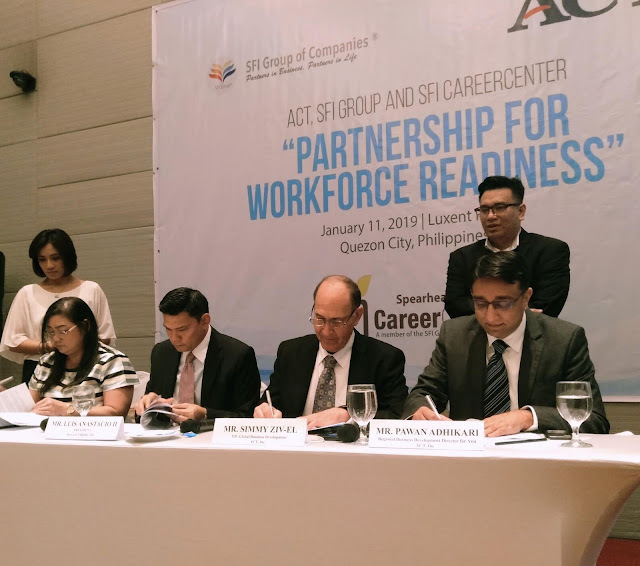 Both party hopes that this partnership will help built the country’s human capital and make it globally competitive in line with 21st Century skill by developing and improving the skills of students in the academe and trainees entering the workforce. There will be many benefits that will be introduced with the partnership such as the ACT®WorkKeys® Assessments, ACT’s KeyTrain Curriculum and Career Ready 101 Courses, and the International Career Readiness Certification in the Philippines. 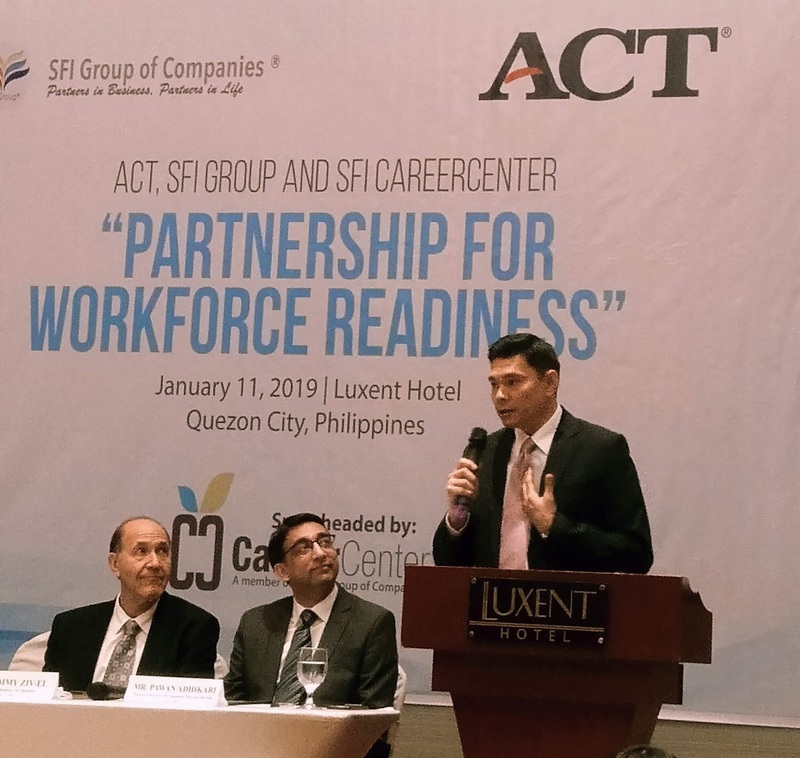 The ACT®WorkKeys® Assessments, the cornerstone of the ACT workforce solutions, is a skills assessment system that helps employers select, hire, train, develop, and retain quality workforce.  Target users for the system include employers, individuals, educators, workforce developers, industry associations and advocacy organizations. It has been in use for more than two decades already, using real-life situations in the daily working world to help measure essential workplace skills and help people build career pathways. It also helps measure foundational and soft skills, and can be used to learn more about the strengths and weaknesses of employees and gain a valid way to demonstrate abilities to employers, and take the guesswork out of determining student, applicant, and employee qualifications. Leveraging on the power of technology, ACT®WorkKeys® Assessments can be taken online or on paper. A successful completion of WorkKeys Assessments can result in the ACT®WorkKeys® National Career Readiness Certificate®or NCRC®, which is issued at four levels, namely Platinum, Gold, Silver and Bronze, and measures and certifies the essential work skills needed for success in jobs across industries and occupations. In the United States, more than 16,000 employers have already accepted the ACT®WorkKeys® NCRC® as a reliable way to verify individuals’ work readiness, with more than 3.8 million WorkKeys® NCRC®‘s issued across the US, while 30 states issue the WorkKeys® NCRC®in statewide or regional programs. For more about the SFI Group of Companies, Servicio Filipino Inc., visit https://serviciofilipino.com. For programs of the SFI Career Center, go to https://sficareercenter.com. For more about ACT, Inc., visit www.act.org.